Goodnight, Sweet Dreams is a Composers Today award winning composition by Lisa Donovan Lukas. An inspirational contemporary lyrical showcase solo, ideal for the advanced student. Teaching Concepts: Interpretation, and focus on musical thinking and feeling in order to be played effectively. Special attention to articulation, dynamics, key changes, and pedaling. A tapestry of rich harmonies, impressionistic in flavor, with long, evolving melodies, Lisa tells a beautiful story. It is captivating. 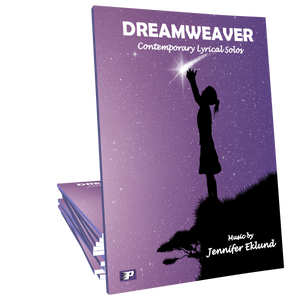 I can't wait to play it for myself and as an inspirational work for my studio of budding composers and musicians who also participate in the Composers Today program. Brava, Lisa!